It appears Australia is overlooking elevator safety as a top priority in their communities. In recent reports, it has been shown that in cities like Melbourne, emergency services are rescuing more than 15 people every month trapped in lifts. The Metropolitan Fire Brigade has revealed its crews were called to 183 emergency incidents in 2018 after people were trapped in a lift in a commercial or residential building. There’s obviously a concerning trend at plat, so what’s the problem? All of this culminates in elevators being used at a much higher rate, and that could mean that even a community that meets its maintenance schedule could in reality be two months behind when a service really should have been due to higher use. The core activity we’re recommending owners and committees undertake is the appointment of a elevator maintenance expert. 1. Provide a comprehensive risk and hazard assessment in line with Australian Elevator Association guidelines. This assessment outlines the risks in terms of high, medium and low levels across your elevators, and indicates what solutions should be put in place to reduce the potential for harm to owners, tenants, visitors and workers, and reduce exposure to potential claims. 2. Undertake a comprehensive lifecycle report, so its findings can be factored in to the sinking fund forecast. This report should detail all of the equipment and its condition, along with a timeline and budget showing what the replacement costs are. These two reports are essential for any strata scheme and should be undertaken and updated regularly. Some schemes choose to use a third party to help them, which can cost. That cost may be better directed towards the actual works themselves. If you have a good relationship with your lift service provider there is no reason why they couldn't perform these reports for you and it will generally cost nothing. After all, you are paying the lift company for their expertise. 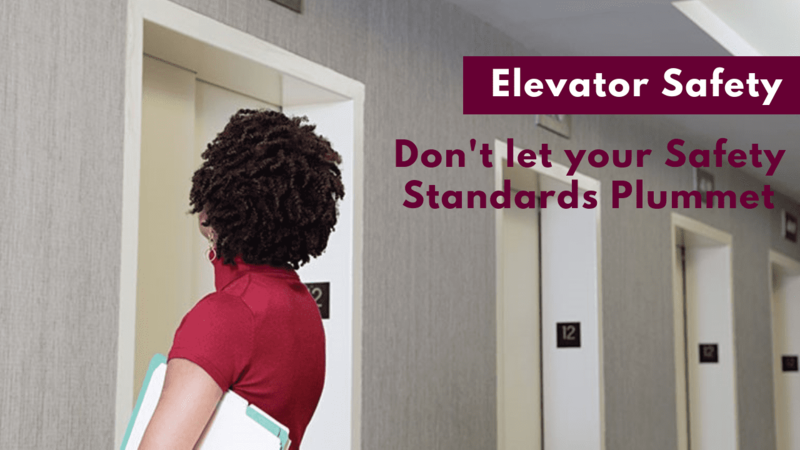 Elevator safety and maintenance isn’t a task to be forgotten and we’re encouraging concerned owners to get advice from a professional strata manager to control the situation. Body corporate committees are for the most part run by volunteer owners without a great deal of expertise or time to oversee matters like this, so it’s important concerned owners consider the value of having a professional on their side to ensure key maintenance tasks run on time and the right funds are there to make it happen. Note – Content courtesy of Strata Community Association.